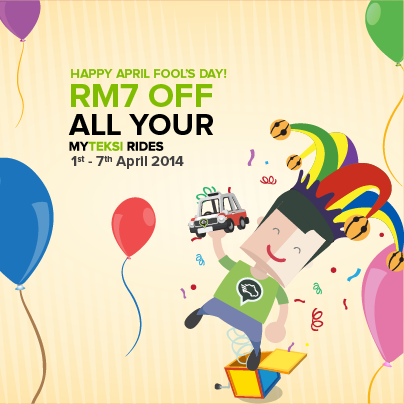 MyTeksi celebrates April Fool’s Day by offering all MyTeksi users unlimited RM7 discount on all rides booked using the app from anywhere in Klang Valley, Putrajaya, Cyberjaya, Johor Bahru and Kuching. The MyTeksi app allows customers to book taxis effortlessly using their smartphones. All confirmed bookings are trackable and recorded onto MyTeksi’s system so customers can rest assured of their safety throughout the trip. Passengers will need to key in #april into the ‘Notes to Driver’ field when booking a taxi via the MyTeksi app. New MyTeksi users must first download the app onto their smartphones. 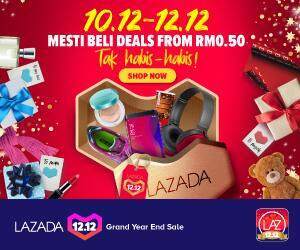 The MyTeksi app is available for free on iOS devices, Android, Windows and selected BlackBerry smartphones.